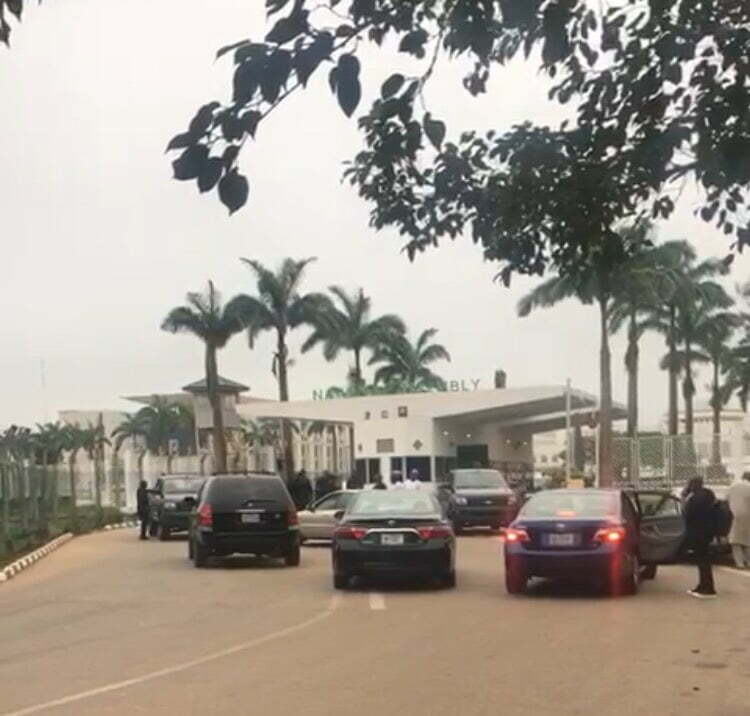 The Department of State Services (DSS) has blocked all entry or exit from the National Assembly in Abuja. The development is alleged to be part of the plot to effect a change of the Senate leadership on Tuesday. A serving Senator, Senator Rafiu Ibrahim was at 7:10am denied access into his office by the DSS. Currently, there is confusion and gridlock at the entrance of the country’s legislature. No fewer than 30 Senators had allegedly gathered in the wee hours of Tuesday morning to finalize plan to impeach the Senate President, Bukola Saraki and his deputy Ike Ekweremadu. A source told DAILY POST that the alleged meeting was held around 12:30am in Abuja. The lawmakers were said to have allegedly met with Mamman Daura, DG of the DSS. The source added that as part of the plot, Senate Leader, Ahmed Lawan (Yobe North) will be picked as Senate President while Hope Uzodinma (Imo West) will emerge as his deputy. DAILY POST had reported that Saraki and Dogara fixed an emergency meeting for 12:00 noon on Tuesday at the National Assembly.